Welcome to MIDPARK GARDENS located in the beautiful LAKE COMMUNITY of Midnapore. 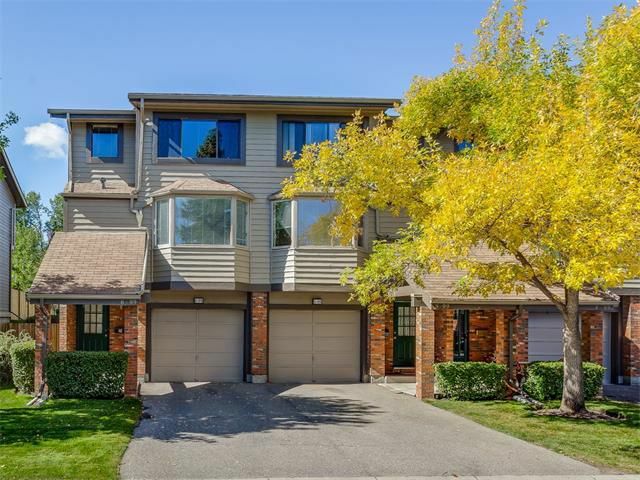 This impeccable 2 storey END UNIT town home with single ATTACHED GARAGE is updated & move in ready. The spacious living room offers 10’ ceilings, wood burning fireplace & patio doors that open up onto the WEST facing deck & pet friendly fenced yard. Formal Dining Room, bright white kitchen with breakfast nook & pantry, new laminate flooring & 2pc bath complete the main level. The upper floor features a LOFT (easily converted to 3rd bdrm), 2nd Bedroom & Huge Master with double closets & cheater en-suite. Plenty of in-unit storage, RI Vacuflow & HE washer / dryer in basement. This property backs onto a large private green space. Everything you need is close by: LRT (Shawnessy), Transit, Fish Creek Provincial Park, Schools, Shopping & of course MIDNAPORE LAKE PRIVILEGES. Don't miss out, book your appointment to view today!